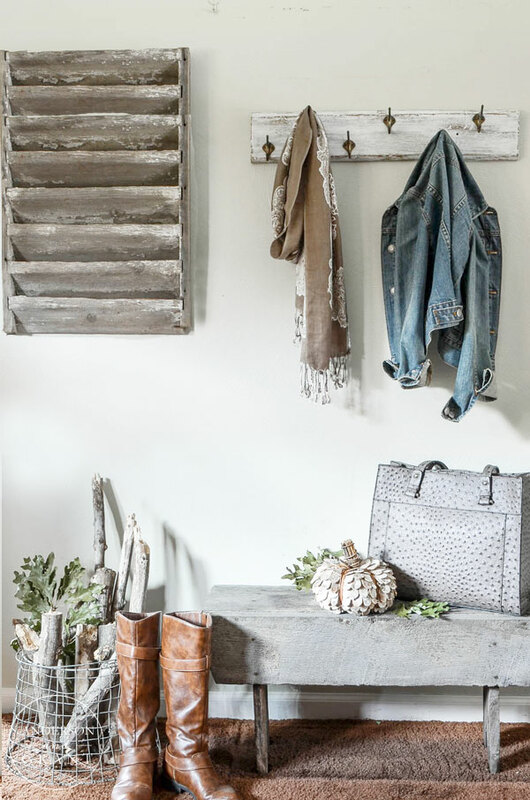 rustic coat rack perfect for the entryway! "You know you'll love me." "You have to have me." "I can be made so much prettier with a little love from you." "I have a purpose that you just can't see right now." And occasionally, things in the store will be honest and say, "You want me now, but will regret it later. Walk away." I hear these voices in my head quite often, but there is no need to suggest a psychiatrist is in my future. You probably hear them, too, if you listen hard enough. Whether you're shopping at an antique store, Hobby Lobby, or Target, those voices are your intuition telling you what to do. There are reasons why we are each drawn to different items in stores; why there are specific things we must buy even though no one else seems to understand the necessity. Products can't reach off the shelf and grab you as you walk by.....and thank goodness for that! But they can make you feel something when you see or touch them. Remember that incredible feeling deep down inside your soul the last time you found a treasure made just for you?!?! Sometimes I listen to those voices in my head....and sometimes I don't and regret it later. Today's post isn't about a regret, though. Those purchases never make it onto my blog.....they just sit in my basement reminding me that I didn't listen. Although now as these words spill out, maybe I just need to show them who is really the boss and that I knew exactly what I was doing when purchasing them. There may be hope for those cast-offs, yet....But that is for another day. The project that I'm showing here is about one of the things I found that told me all she needed was a little love and affection. And it only took a short afternoon to make her pretty again. 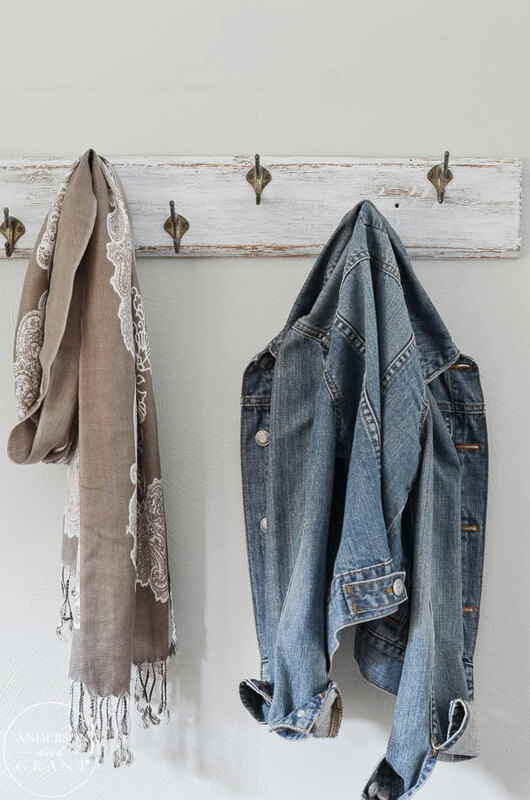 When I found this dirty coat rack painted in a shade of 1970s tan paint, I knew it was something that could use a makeover and be stylish again. 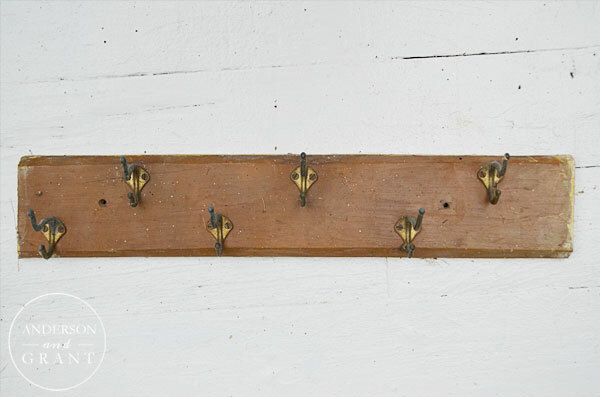 It was the aged hardware with lots of patina that really drew me in. 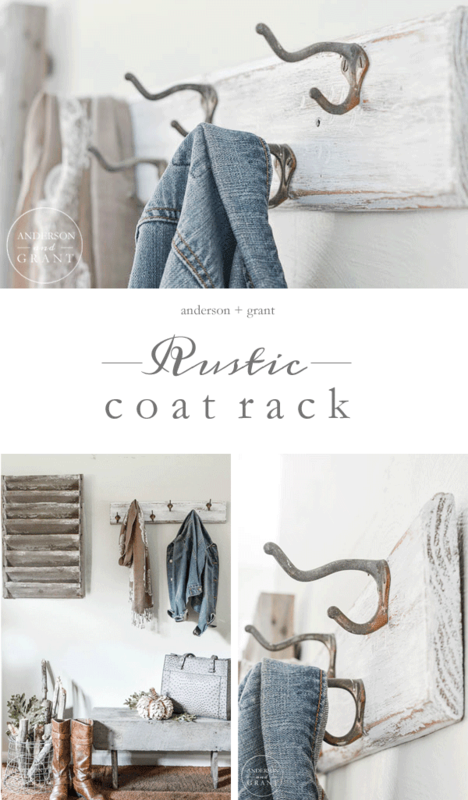 The coat rack was speaking to me through the dirt and cobwebs collected over the years and I was forced to listen. 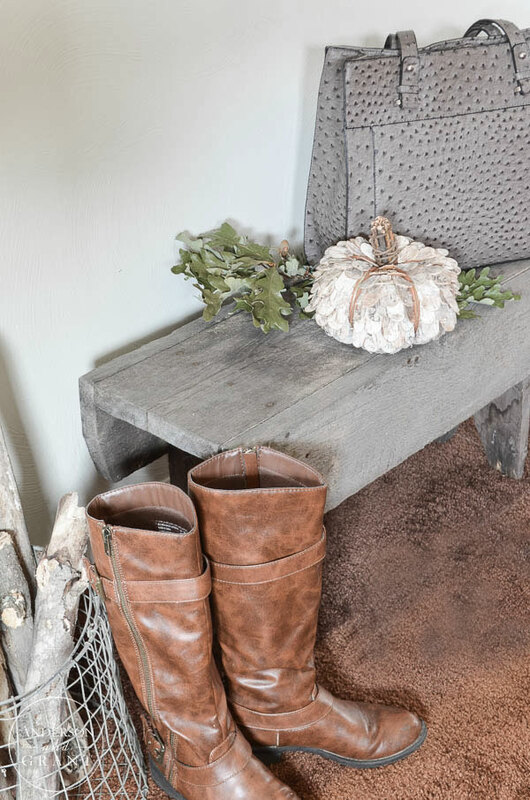 The first step to completing an afternoon makeover was to remove that unfortunate paint color. 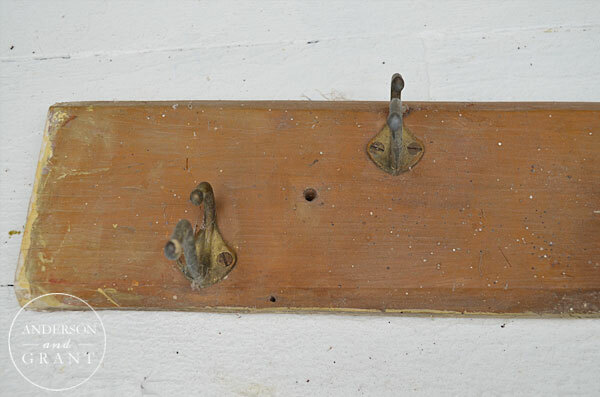 The hardware was removed from the board so that it could be sanded off and repainted. The paint sanded off easily from the wood, which rarely happens. 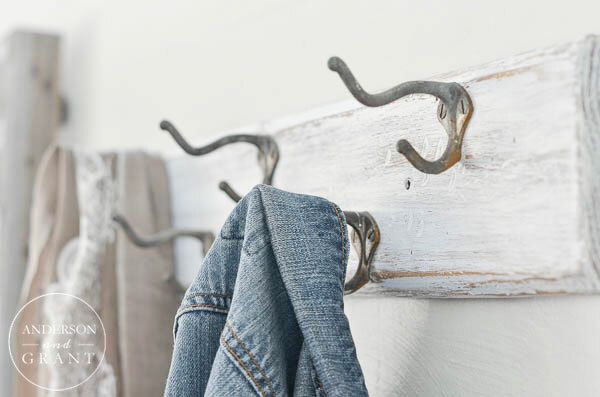 In order to feel pretty again, this coat rack said that she wanted to be a little imperfect. 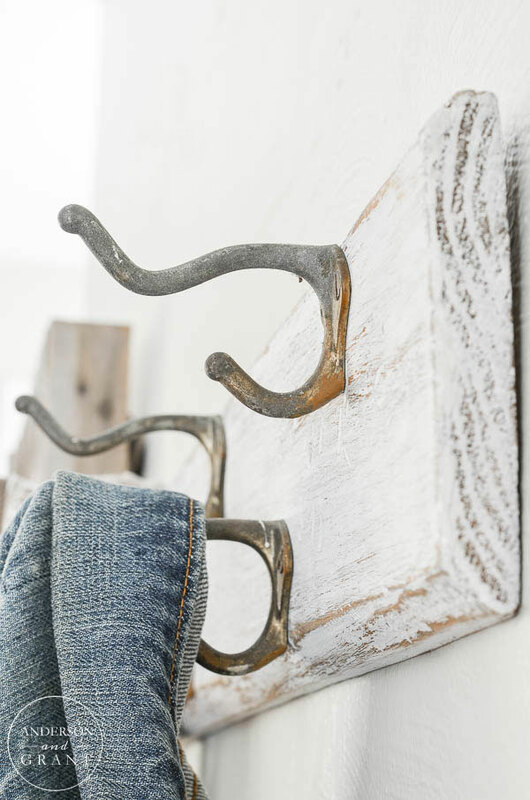 I used different tools to add a bit of distressing. 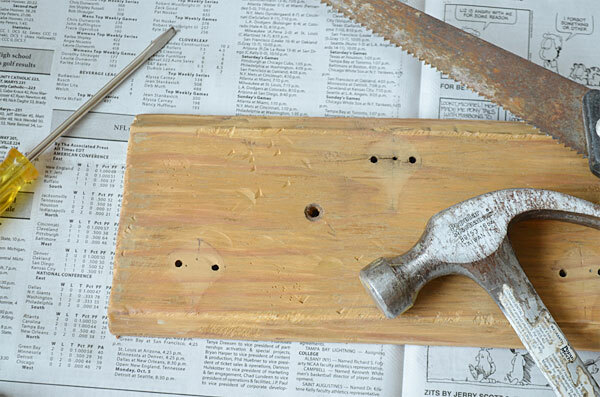 I hammered dents in places, used a saw to add some cuts, and a screwdriver to add a few worm holes. 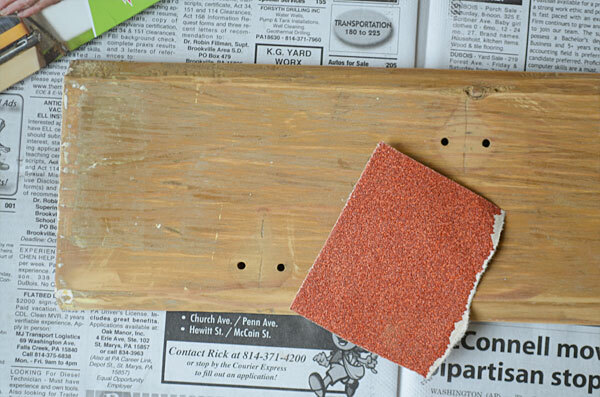 After the distressing was done, the board was lightly sanded again to smooth out the rough edges. 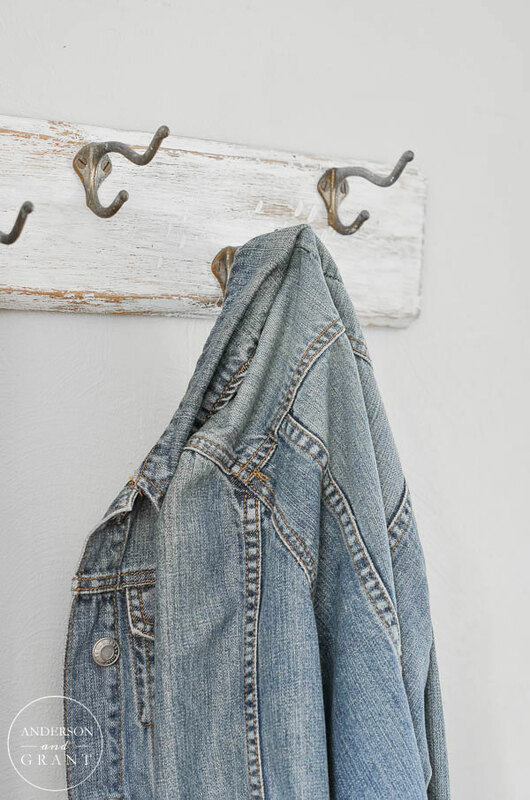 Since the patina and wear on the hardware is what initially drew me to wanting this coat rack, I left it alone.... aside from cleaning it up of course. The hardware was reattached, and I had a project done in a few short hours. 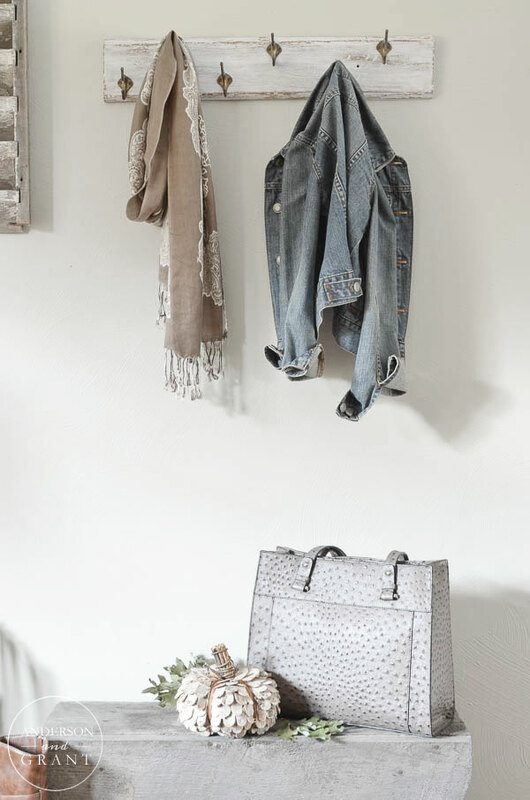 Now that she is beautiful again, there is a perfectly imperfect place to hang my coat or a fall scarf. Much better than the before, right? It is a good feeling when something like this can come together quickly and easily. 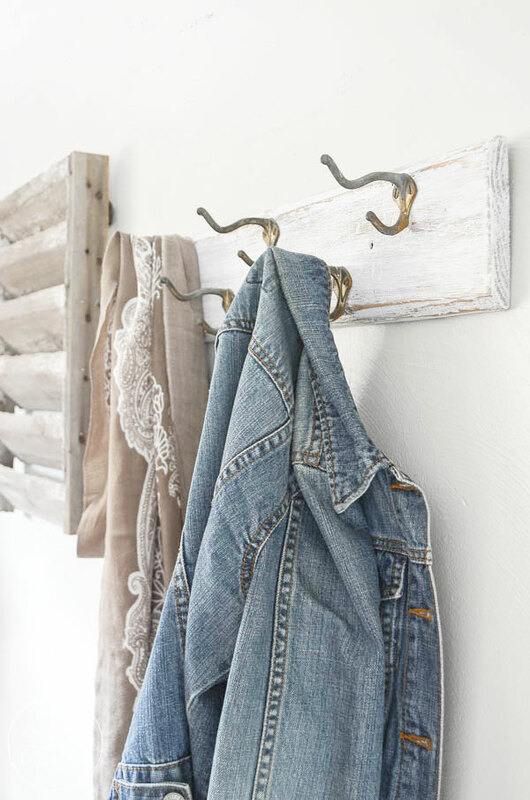 Even if you don't have an old coat rack that needs a makeover, you could easily DIY something like this with an old board and some coat hooks (affiliate link). It could be made modern, industrial, or whatever style you are. So now that you know about the voices in my head, has anything spoken to you recently when out shopping?